As I outlined in DEAL! Solarvalue AG purchase receives final approval, on November, 30, 2006, Solarvalue AG (XETRA:SV7) (http://www.solarvalue.com) announced the completion of the purchase of TDR – Metalurgija (TDR), located in Ruše, Slovenia, by WP Profil Solarvalue Holding d.o.o., a joint venture between W&P Profil d.o.o with 51% and Solarvalue AG with 49%, after receiving official approval from Slovenian authorities. Solarvalue has now begun the conversion of their portion of the TDR facility to the production of Solar Grade Silicon (SGS). Solarvalue expects the first SGS to be available in the spring 2007 and plans to produce 850 metric tons of solar grade silicon by year end 2007. After Solar Power 2006, I was expecting to settle in and catch up on my article backlog. But on Halloween day, I received an email invitation from Joerg Duske, Strategy Advisor for Solarvalue AG, to attend their Press Conference at the 7. Forum Solarpraxis in Berlin. When I explained the travel budget was over spent for the year, Solarvalue offered to cover my flight and hotel expenses. As the proposal expanded to include a visit to TDR – Metalurgija in Ruše, Slovenia, I soon found myself on a flight (yes, coach!) bound for Graz, Austria, as the gateway to Maribor and final destination, Ruše, Slovenia. I joined John Mott, Chief Operating Officer (COO), of Solarvalue Production d.d. for the taxi ride from Maribor to TDR in Ruše. After Mr. Mott asked the taxi driver to take us to “TDR”, there was an odd moment when the driver did not know the location of the TDR factory. 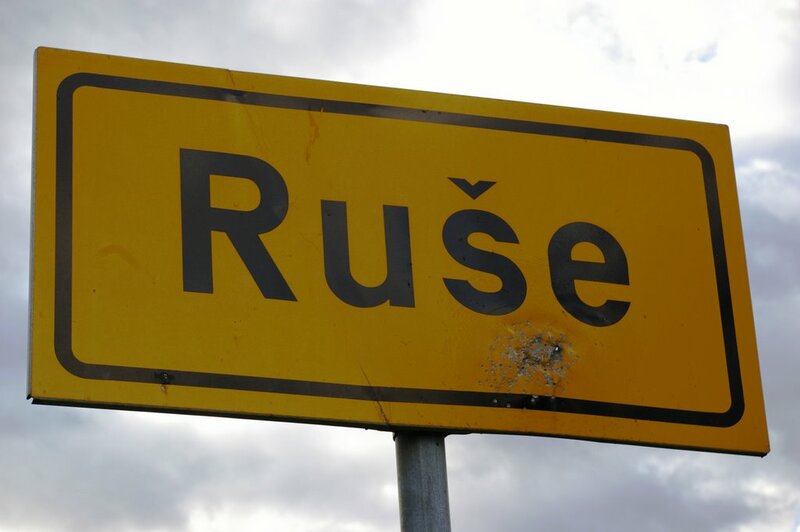 The driver knew it by the full factory complex name, Tovarna dušika Ruše. John Mott is an engineer who researched the production of SGS from metallurgical silicon (mg-Si) at Gaithersburg, Maryland, USA based Solarex Corporation in the 1980’s. Since Solarex, Mr. Mott has done extensive work in the field of silicon metal and composite materials outside of the photovoltaic space. After initial discussions in the office with Mr. Vlado Hojnik, TDR’s Head of Development and Research, I was issued a cotton safety coat and a hard hat. Once the safety gear was donned, the TDR tour began with Mr. Hojnik leading John and myself to the 18MW (Megawatt) M1 arc furnace across from the main office building. 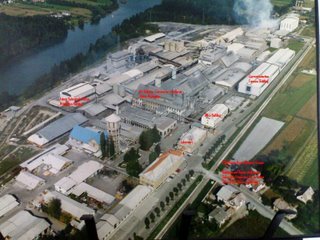 M1 was active producing calcium carbide or CaC2 from a mixture of lime and coke at 2000 °C (degrees Celsius). I have visited and worked in factories, but this was my first visit to a heavy industry facility so I adopted a conservative approach to walking around, and I minded my tour guides. While TDR was established in 1918, the M1 arc furnace was erected in the early 1960’s. M1 is about six stories or 60 feet (~18.29 meters) tall, including the electrodes, with a diameter of 32 feet (~9.75 meters). On the ground floor, I watched as calcium carbide was tapped or poured off from the M1 arc furnace. In my short video, you can see my steady camera hand shake when unexpected sparks fly as the calcium carbide is tapped. The M1 furnace hearth and electrodes are located above on the first floor of the M1 building. The rattling noise you hear in the video is charge material feeding the hearth though mix tubes. This is a professional video of M1 and other aspects of the TDR facility prepared for Solarvalue by the Dr. Klaus Heidler Solar Consulting team. Per the German soundtrack, the M1 furnace was being operated at 16MW for calcium carbide production during the video. Video quality has been downscaled per YouTube guidelines. After the 12MW M5 arc furnace, Solarvalue plans to next convert M1 to metallurgical silicon production in 2008 requiring an additional investment of €10 million. Behind M1 in the same building, there is an empty bay for an arc furnace. TDR sold this “M2” arc furnace last year to joint venture partner W&P Profil CEO Alojz Cajnko. 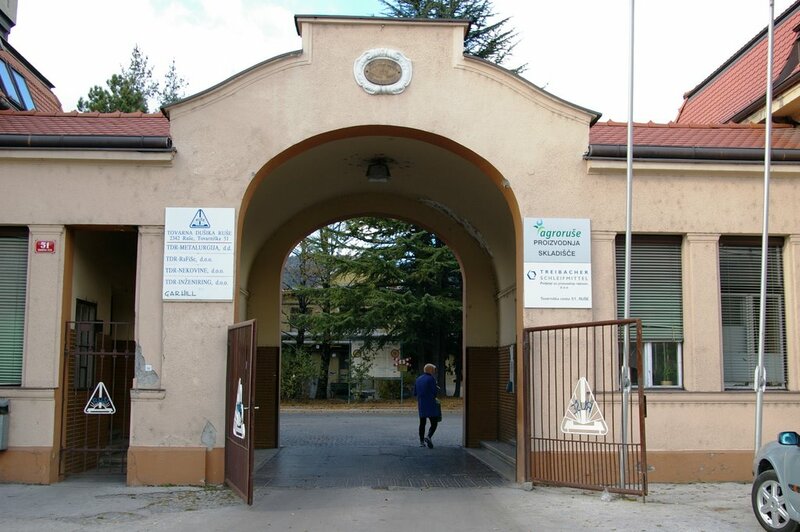 At the time of the purchase, there was no plan to privatize TDR – Metalurgija, and it is conceivable M2 might find its way back home. In Part 2, the TDR tour will continue with the M6 arc furnace and a literal look inside the M5 arc furnace and the metallurgical silicon production process. GP Note: Solarvalue is reimbursing me for my flights to Berlin and Graz. I maintain independent editorial control over this article series, I have not been paid to write them, and I do not own any shares of Solarvalue AG stock. nice to see that TDR works. Heidler is a good man, he is realy engaged. Do you know more about the investors? You can contact me by mail. How much money did you lose with Astropower stock??? I will address your AstroPower question in the AstroPower: Decline of a solar photovoltaic star remains an untold tragedy? post at http://guntherportfolio.blogspot.com/2006/08/astropower-decline-of-solar.html. I don’t think this question is germane to the Ruse series.